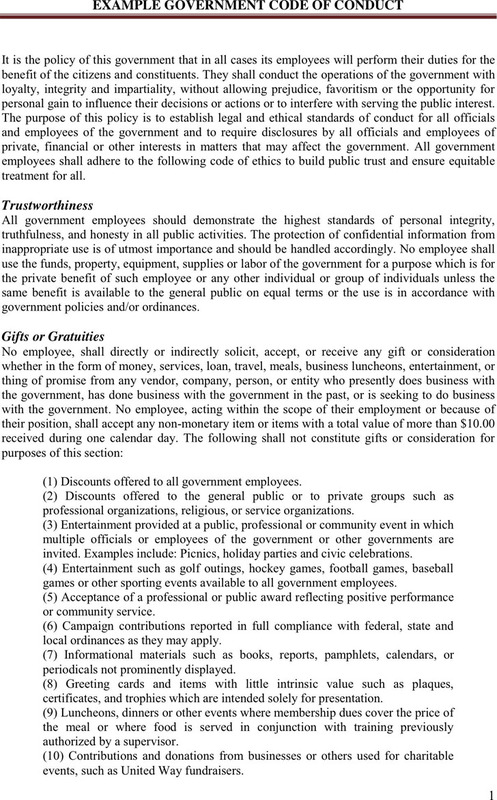 A code of conduct is a list of rules and responsibilities of an individual, party or organization. An organization or a company has a code of conduct to restrain its employees. With the help of the code of conduct, an organization or a company operates in order. 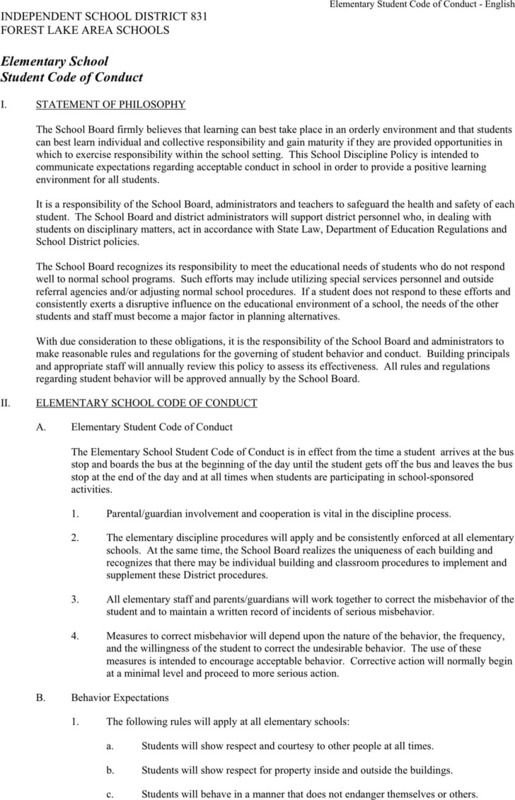 Our website provides you with plenty of code of conduct templates, such as Elementary School Student Code of Conduct Example and Government Code of Conduct Example.